We would like to think that we're somewhat a soothsayer, having predicted the materialising of McDonald's D24 Durian McFlurry when it was first hinted at the media preview of Singapore Food Festival. Standing out from the lineup are two new savoury items that take inspiration from Ha Cheong Gai – the quintessential Singapore fried chicken, where chicken wings are fried in a batter with fermented shrimp paste. Part of the soft launch from 10 July onwards, the Ha Ha Cheong Gai Chicken Drumlets ($2.20 for two pieces) and Ha Ha Cheong Gai Chicken Burger ($6.05) will be yours to savour. The latter comprises a juicy chicken thigh that is fried with real prawn paste and then slathered with prawn-paste-flavoured mayonnaise. The menu also includes a new breakfast item being the Breakfast Curry Burger ($4.20). The burger consists of a McChicken patty, padded with melted cheese and a sunny side-up egg, before smothered with, you’ve guessed it, McDonald’s classic curry sauce. Now, don’t you want to wake up (before 11am) for that? To sweeten the deal in true Singaporean fashion, McDonald’s also brings back its popular Kuah Salat Cake to all McCafés. With the D24 Durian McFluury launched last week, the fast-food giant now offers two local desserts at the same time! 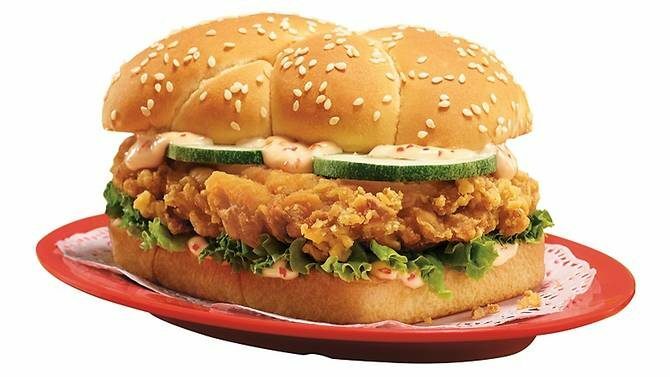 The new McDonald’s food offerings are available at outlets across Singapore, as well as via McDelivery and GrabFood.